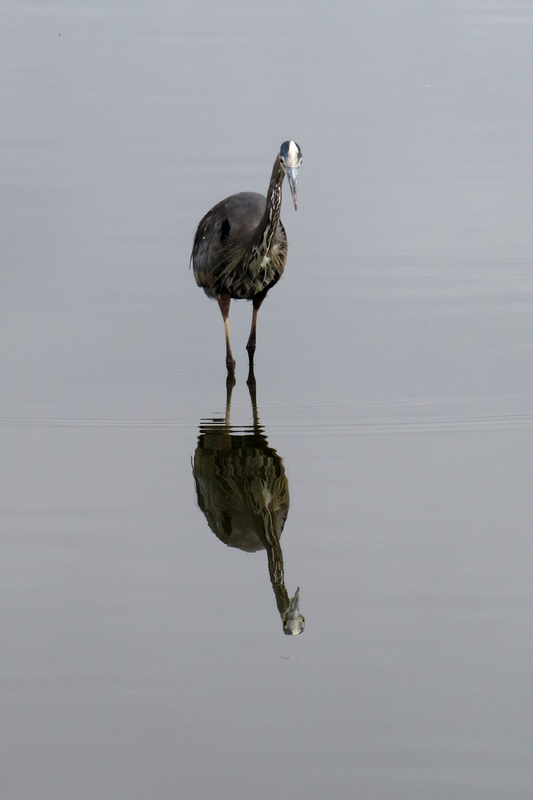 I led a tour of Fernhill Wetlands for the Birds and Brew Festival. 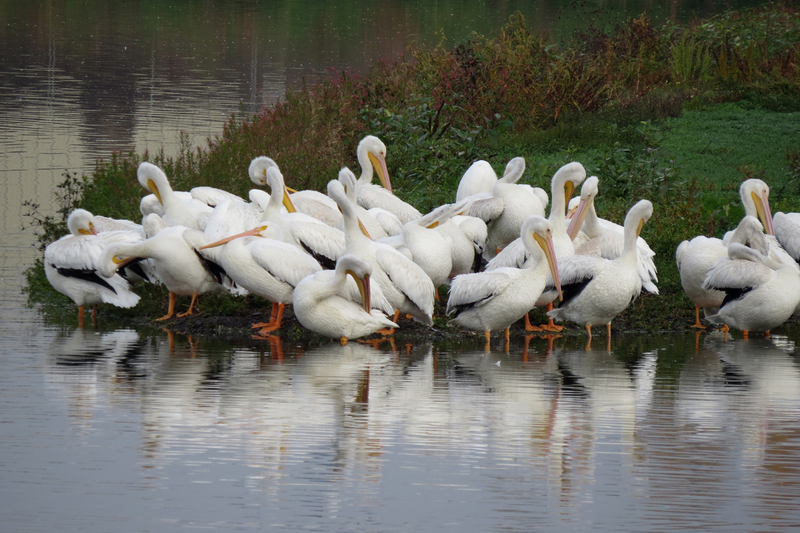 Since there were about 50 people in the group, including many who didn’t have optics, we concentrated on the “charismatic mega-fauna,” like these American White Pelicans. 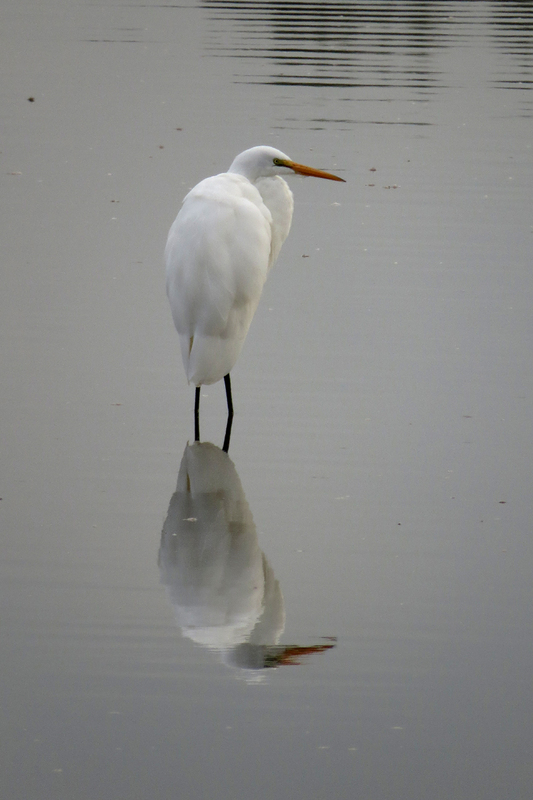 A Great Egret and a Great Blue Heron were looking all artsy with their reflections. 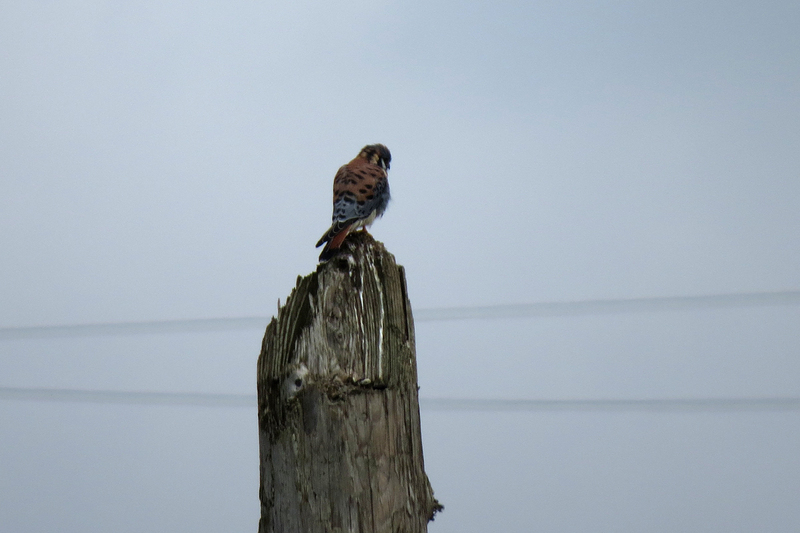 This distant American Kestrel was showing off his colors. 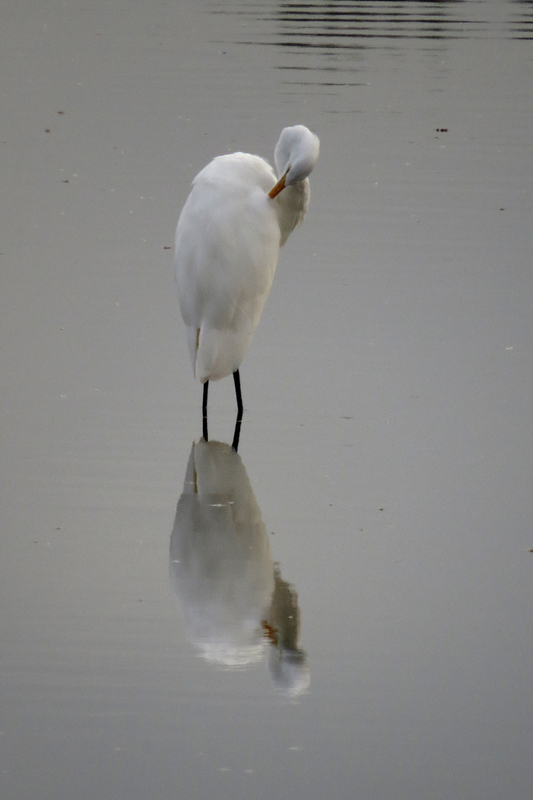 After the group dispersed, I took another lap around the lake so I could check out the smaller birds. 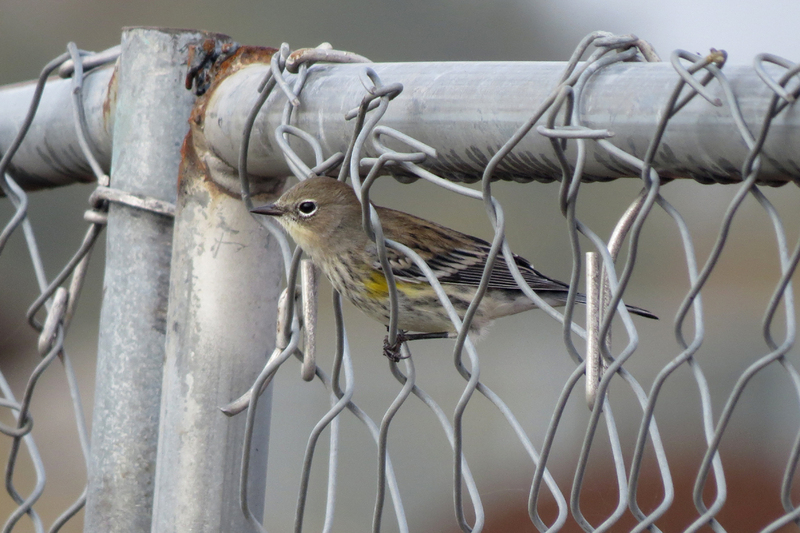 Along with five species of sparrow, there were lots of Yellow-rumped Warblers moving around. 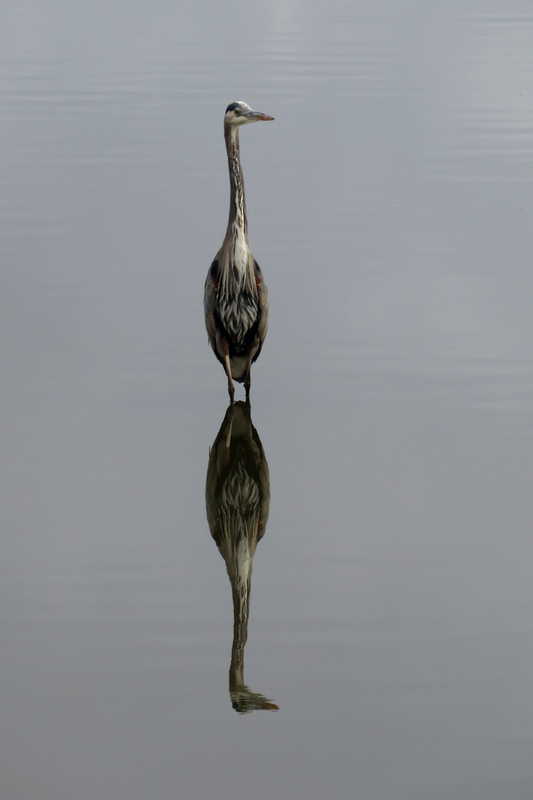 This entry was posted in OR Birding Sites and tagged American Kestrel, American White Pelican, Fernhill Wetlands, Great Blue Heron, Great Egret, Yellow-rumped Warbler. Bookmark the permalink. I was there that morning. I had just brought my brother up from Southern California. He is the one who got me started in birding when we were younger. Greg Gillson got me back into it. My brother was so impressed with the wetlands. Water foul were something he didn’t have much experience with There must have been over 3,000 Geese that day. He had never seen so many at one time. We didn’t take the tour. We enjoyed just walking around. Spent some time talking with Gary Witt. It was a really good day.